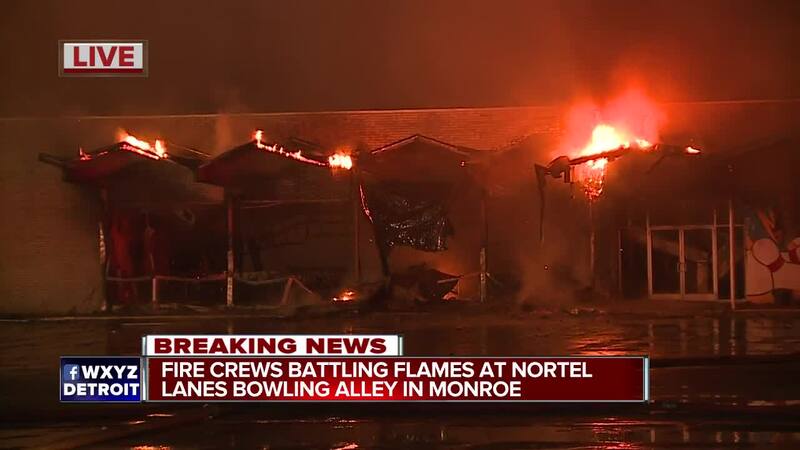 A city is devastated after a fire burned down the Nortel Lanes bowling alley in Monroe. The bowling alley has been around since the 1960s. The Monroe Fire Department responded to the report of a fire at the building around 2:30 a.m. 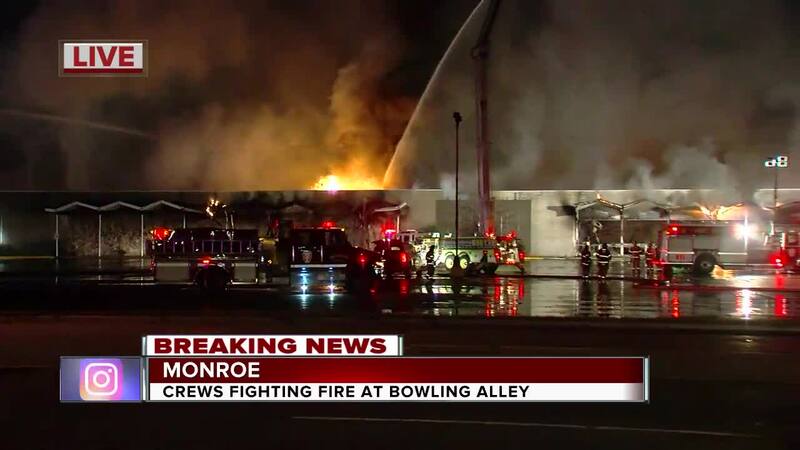 Upon arrival, the bowling alley was engulfed in flames. Fire officials say the building was not occupied at the time of the fire. The fire department is currently investigating the cause of the fire, but said the property did not have a sprinkler system installed. Monroe Fire Chief Robert Wight said the building design is such that it collapsed quickly when under stress from heat, not only collapsing downward but could also force the load-bearing walls to collapse outward. Fire officials say the building is estimated to be a total loss.